Fantastic one bedroomed unfurnished apartment The apartment briefly comprises of a hallway leading onto a great sized open plan lounge / kitchen with juliet baloncy. Modern fully fitted kitchen with intergrated appliances. Large double bedroom. Superb bathroom suite with electric shower. Gas central Heating. Double glazed throughout. Secure entry system. Well worth a look. Available from January 2019. Superb large four bedroom detached house comprising of the following accomodation. Downstairs clockroom with downstairs wc. Hallway leading to a very large living room, with seperate dining room. Spacious dining kitchen with utility room. To the first floor there are four bedrooms, the master bedroom with its own ensuite. Modern family bathroom suite with electric shower .Private enclosed well kept rear garden . Garage and drive way with parking for several cars. Decorated throughout to a high standard. Double glazed throughout. Early viewing recommended. 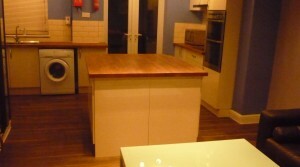 Five bedroom student house. All spacious double rooms. Three bedrooms have their own en-suite and a separate bathroom with power shower for the other 2 bedrooms. All rooms recently redecorated. 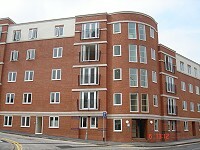 Fully furnished (including widescreen TV ) Fully fitted Kitchen with all appliances. Large Living space. Downstairs cellar has been converted to a bar / chill out area. 10 minutes walk from town. 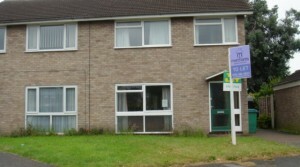 Gas central heating and double glazed throughout. The property also has an alarm system .Well worth a look. Ideal for Nottingham Trent University. Available September 2016. £65 per week per person. No summer retainer. 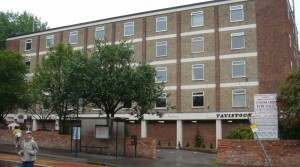 Perfect location for Trent students within walking distance of the University and the city centre. 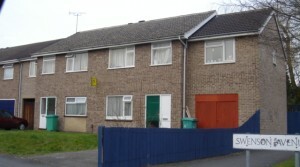 Terraced, Furnished, Full double glazing, All good sized double bedrooms with double beds, Separate living room, Gas central heating, Water gas instant, Baths and showers, 1 bath/shower facilities, 1wc, extractors in bathrooms, Washing m/c fitted, Fridge/freezer, Internet access Available for academic year 2016/17 £70 per week per personv exclusive. 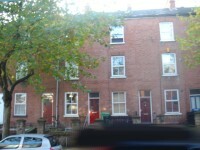 Merchants Property Services are pleased to offer this Spacious 3 bedroom student property. The property briefly comprises of a hallway leading onto a reception room. There is also a modern fully fitted kitchen with all appliances., There is also one very large double bedroom at the rear of the property on the ground floor. The first floor comprises of a bathroom with white shower cubicle and a separate WC . There are two further double bedrooms and an additional study room. All the rooms have quality furniture and the property also benefits from gas central heating and is double glazed with cavity wall insulation. Private enclosed rear garden and off street parking for 2 cars. Ideal for QMC and the Nottingham University. Available from July 2019 at £85.00 per week per person. 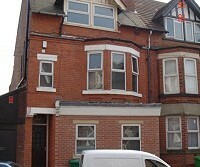 Large fully furnished 4 bedroom student house, New fully fitted dining kitchen with all appliances. Seperate living room. Four good sized double bedrooms with additional study room/ or fifth bedroom.The property benefits from two bathrooms and has been recently decorated throughout. Double glazed and gas central heating. Private enclosed rear garden and off street parking for 2 cars. Ideal location for the Nottingham University or QMC. AVAILABLE FROM SEPTEMBER 2019 . £75 per week per person. 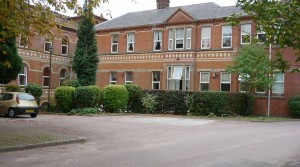 Spacious flat in Victorian Building set in lovely mature grounds. The property briefly comprises of large open plan kitchen and living area with all built in appliances. Modern white bathroom suite with electric shower. Two good sized double bedrooms. The property benefits from double glazing throughout and has been recently redecorated in nuetral colours.The apartment has private resident parking for two cars. This property is unfurnished.